Dear friends, I have the pleasure of sharing with you some of my artistic projects for the coming months, including recitals in Argentina and Chile, lecture-recitals in Canada, concerti by Mozart and Beethoven and a tournée in China finishing with a performance in London. 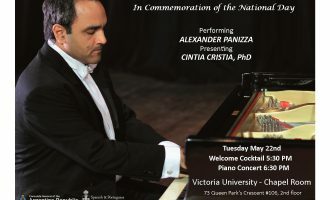 From May 23 to 25, collaborating again with Cintia, I will attend the Annual Conference of the Canadian Society of Music Universities (MusCan) in Edmonton, Alberta (Canadá). On Friday May 25th, at MacEwan University’s Allard Hall, we will present a lecture-recital called “Artistic Spaces: Painting and Literature in Tale a la Hoffmann: the Ringing Glass”, in which I will perform again that beautiful and demanding piece by Luis Mucillo, whose Piano Concerto version I had the honor to premiere at the Teatro Colón, more than a decade ago. Again in Argentina, on June 30th at 9 pm, I will perform Mozart’s Concerto no. 21 in Mendoza together with the Orquesta Sinfónica de la Universidad Nacional de Cuyo, which celebrates their 70 anniversary, under the baton of Maestro David Handel. 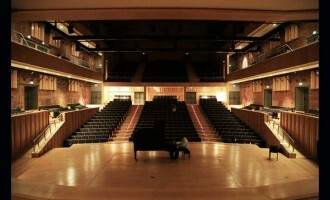 On Saturday 4, at Centro Cultural Parque de España in Rosario, I will play Chopin’s Four Ballades and a selection of Rachmaninnof’s Etudes Tableaux. On Friday 24, my recital at Radio Nacional will be broadcasted live over radio and Internet. On September 1st, at Biblioteca Juan Alvarez in Rosario, I will be performing Argentine music. Finishing my 2018 stay in Argentina, on Friday 7th September I will perform Mozart’s Concerto no. 21 along Orquesta Sinfónica Provincial de Rosario, conducted by Maestro David del Pino Klinge. During my stay, I will also offer a seminar at Facultad de Artes y Ciencias (UCA, Buenos Aires) and serve as part of the jury of the Third Siete Lagos Piano Competition semifinals, which will be held at Goethe College in San Isidro. Later in September, I will be flying to China through England for my first concert tour along with London Arte Chamber Orchestra, conducted by Maestro Fabricio Brachetta. Before flying back to Toronto, I will say farewell to London (for the time being!) performing Beethoven’s Emperor Concerto with the same ensemble on September 28.